Please check with your local water company if you need more clarification or advice. (B) You the homeowner have responsibility for the private drain within your property boundary and right up to where it joins your next door neighbours drain. Then you have shared responsibility for the private sewer right up to the public sewer. (D) You the homeowner have responsibility for the private drain from your house to where it joins a shared private sewer. Then you have shared responsibility for the private sewer right up to the public sewer. Sewers that are connected to private pumping stations will transfer to the water and sewage company on October 2011. LONDON DRAINAGE EXPERTS FOR ALL YOUR DRAINAGE NEEDS. Drains and Sewers.Highway Drainage – Gullies. Please feel free to download these notes; you never know when a drainage problem may affect you. It is hoped you will never need this but if you do it will be invaluable for reference and guidance. drains and drainage sewers have a legal status which will determine who is responsible for their upkeep. been adopted and how many properties it serves. more specialist examination before advice can be given. drains and drainage sewers do not cause a nuisance or risk to public health where owners may have allowed them to remain blocked or to become defective. The only records that have to be kept legally are he maps of public sewers maintained by the Water Companies.These are normally accurate but may have some omissions, particularly public sewers that are ot in the public highway. If a public drainage sewer is not shown on these maps that does not alter its legal status. A copy of the maps is kept by the London Borough Councils for public inspection.Unfortunately copies can only be provided by the Water Company for which a charge is likely to be made.Private sewers and drains do not have to be shown on these maps. • A drain is a pipe that serves only one roperty and is nearly always owned by that one user. It does not matter when the drain wasbuilt its age does not alter its status.The responsibility for cleaning, maintaining and repairing a drain will rest with the owner/user. • A sewer is a pipe that serves more than one property.The status of a sewer can be either public or private depending on when it was built or if it has been adopted. Company, as illustrated below. Public sewers are cleansed, maintained and repaired free of charge by the Water Company. • A private sewer is any sewer that is not public and is owned by the users to the point of connection with a public sewer. A private sewer is a sewer that • was built after 1 October 1937 located in private land and would include the lateral connection under the highway, or • was not adopted by the Water Company, as illustrated below. be cleansed, maintained or repaired may not be in land in the user's ownership. decide who to contact to get the pipe cleared. 1. Does the pipe that is blocked serve only one property? ‘YES’ it is a private drain, call a reputable drainage clearing company DRAINAGE EXPERTS serving Londonand surrounding areas..
accounts then you should contact Thames Water. • Thames Water; Tel. 08459 200800 for residents in all other areas of the London Boroughs. private sewers and drains will depend on the terms of the tenancy. Sewer built after 1 October 1937.
company the responsibility will depend on the terms of the lease or covenants in the deeds. • More seriously; tree roots can penetrate the joints of sewers and sewers can be displaced. In these cases blockages will become more frequent and repairs may be required. users of the properties served by those drains and sewers in proportion to the benefit derived from them not necessarily in proportion to the number of properties served.Depending on the terms of any buildings insurance you may have, you may be covered for most of any repair costs, it would be worth enquiring.The cost of any repair per property is proportional to the length of repaired sewer and is calculated using a standard formula. become defective your local London Council can use legal powers to ensure that a nuisance does not continue or thatpublic health is not put at risk. There are several pieces of legislation that can, and would be used, all involving the service of Notice on the owners of the efective/blocked drain or private drainage sewer. Each of these Notices will prescribe the action that has to be taken by the owners, the length of time being allowed for it to happen and give the power to the Council to do the work and charge (including all its administration costs) the owners. Any unpaid accounts that remain after work has been done by the Council could result in the matter being taken to Court or a charge being assigned to the property to be paid later, with interest, when the property is sold. and more expensive than to employ a drain clearing company at the outset. covered by a metal grating. It is used to collect surface water from the road.The responsibility for cleaning road gullies on the public highway belongs to the Highways Services:The same applies to the pipes leading from the gullies up to a connection with a public drainage sewer.Where they do not connect to a sewer but discharge to a ditch or soakaway these too will generally be the responsibility of the Highways Services. If you drop something valuable, such as keys or mobile phone, into a gully the local Highways Services can be asked to retrieve it, but a charge is likely. Check what the charge will be before instructing them to attend. DRAINAGE EXPERTS can assist in these matters as well. There are some gullies that are not in the public highway, such as parking and garage areas.Very similar rules of ownership would apply to private gullies as to private sewers. 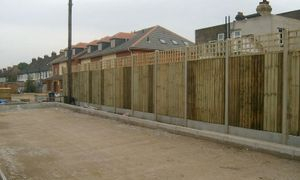 In general the owners of the land in which the gully is situated will be esponsible for its cleaning and maintenance – on some developments there may be an appointed management company that is responsible for maintaining communal areas, it would be worth checking that first before employing a drainage clearing company. Land drainage such as rivers and watercourses fall into two categories; main river and critical/ordinary watercourses. fisheries, discharges, conservation, etc of those ivers.The Environment Agency can be contacted on 08708 506506.
are responsible for ensuring that the flows in the watercourse are not impeded by overgrowth or other obstructions such as ornamental structures or filling n.The Council should be contacted if any such works are proposed.The Council has powers to serve Notice To ensure that any obstruction or impediment to the flow is removed. with the owner of the land on which the water has appeared. Cesspools and drainage septic tanks are generally found in more remote locations where public or mains drainageis not readily available. Cesspools are simply collection sumps for sewage rom one or more properties. Cesspools need to be emptied on a regular basis to prevent overflowing and causing a nuisance or a risk to public health. Septic tanks provide primary reatment of sewage and normally discharge the treated effluent to the ground by way a series of land drains. Consent for installing septic tanks and cesspools must be obtained from the Environment Agency before the Council would consider accepting them. properties they serve, even if they are not situated in land owned by those owners. THESE NOTES ARE FOR GUIDANCE AND YOU SHOULD CHECK VARIENTS WITH YOUR LOCAL HIGHWAYS AGENCIES AND LOCAL COUNCILS. 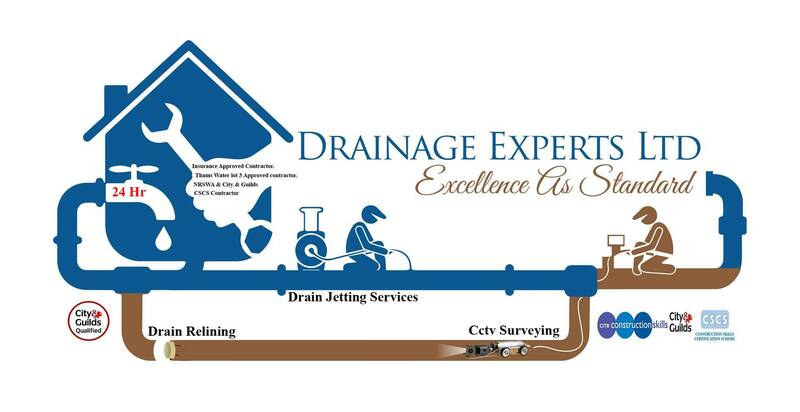 Drainage Experts Ltd for all your Drainage enquires in the London area.